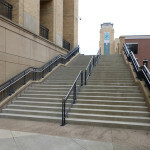 Constructed in 1999, the Robert C. Byrd U.S. 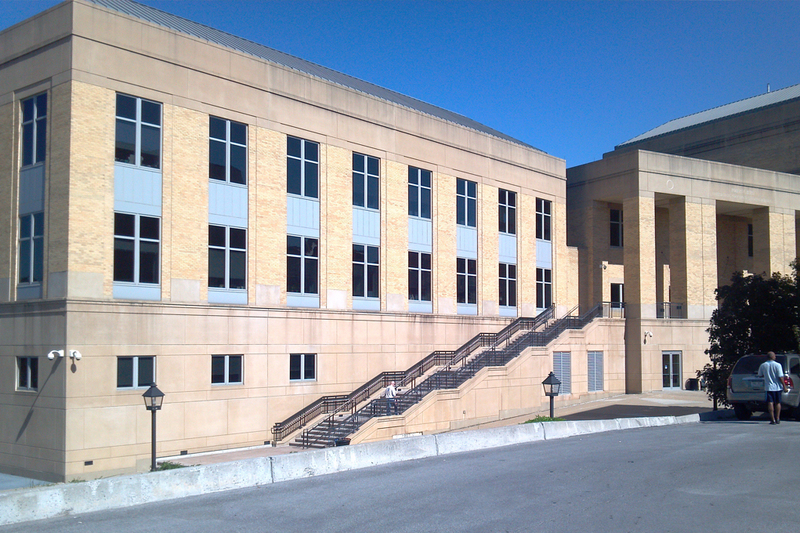 Courthouse and Federal Building is located next to Shoemaker Square in Beckley, WV. 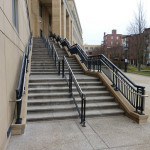 The complex is positioned on a sloping site and includes an array of pedestrian arcades and landscaped courtyards around the building perimeter. 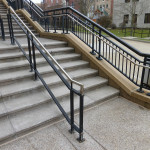 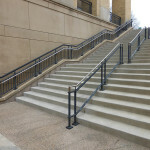 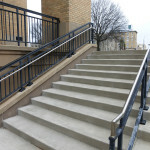 RFS Architects was commissioned by GSA to address various issues associated with settling pavement and exterior stairs. 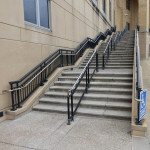 The project included the replacement of pavement, cast-in-place concrete steps, paver treads and risers on the monumental stairs, snow melt system, and exterior lighting. 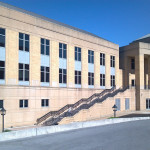 RFS Architects was responsible for the field investigation, architectural design, construction documentation, and construction administration.